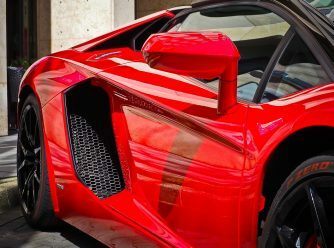 One of the hottest trends we have been hearing about recently is the rise of ceramic coating and its application within the automotive industry. In fact, a lot of our bodyshop customers have been enquiring about the process and how to reap the benefits. To begin to understand exactly what ceramic coating is and its purposes, a simplistic way of looking at it is as a premium alternative to wax. It shares similar purposes to wax and was a regular method used in the oil and space industry before making its way towards automotive businesses. One of the main uses of ceramic coating is to provide an additional layer of protection against environment contaminates as well as to enhance the gloss of the vehicle’s bodywork. Ceramic coating is considered to be a higher performing and more permanent technique than wax. So why would you decide to add ceramic coating to your vehicle? There are both short-term and long-term reasons to consider. First of all, it makes it much easier to clean and maintain your car. While it doesn’t completely eliminate the risk of your car getting dirty, water slides off more easily and dirt will have a more difficult time bonding to the paintwork. Ceramic coating also protects from the sun’s ultraviolet rays as well as chemical stains and etching. As well as taking less effort to maintain, your car will aesthetically appear better off thanks to an enhanced gloss. On top of the aforementioned benefits, there is the long-term affect of your vehicle increasing in value quite significantly. Like most car repairs and enhancements, applying a ceramic coating is best used with infrared curing drying. With infrared curing, your job becomes much more efficient. The overall process becomes quicker and your productivity levels will increase, providing you with time to focus on other tasks and ensuring that the car gets back on the road sooner rather than later. Infrared curing lamps are extremely powerful and can cover large areas of the vehicle at a single time, thus making sure that there is a less likely chance your finished work will be imperfect. 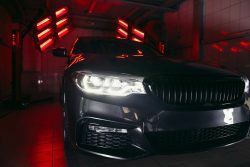 If ceramic coating sounds like a job you want to carry out, or you have other SMART car repairs to complete, check out our range of infrared curing lamps. For more news from Infratech, like us on Facebook and follow us on Twitter.